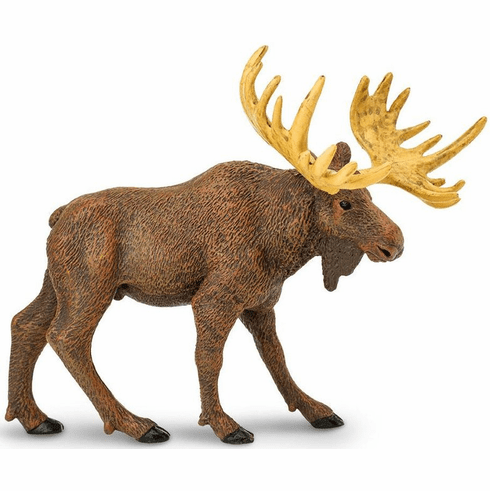 Moose are the largest member of the deer family and are easily identifiable by their immense size, and in the case of males, their fan-shaped antlers. Moose account for the second most injuries caused by an animal worldwide, primarily due to car accidents. Approximate size in inches: 5.39 L x 3.19 W x 4.25 H.